Paramount will bring "WORLD WAR Z" to consumers via Hot Topic, the film's exclusive retail promotional partner. As the official "WORLD WAR Z" movie headquarters, Hot Topic is rolling out the "WORLD WAR Z" merchandise program across all 660 of its stores. Highlighting the promotion will be movie-themed storefront window displays and a series of online initiatives including a sweepstakes, social media support through Facebook, Twitter and Pinterest, and email blasts to all of its members. "We have created a strategic program that encompasses retail promotion, in-theatre merchandise, recognition of fan generated art, and a strong roster of licensees in key categories that allow us to support the film by hitting every target audience," commented LeeAnne Stables, President of Consumer Products and head of Paramount Pictures' worldwide marketing partnerships team. "These programs were built to satisfy the hefty appetite of a very enthusiastic fan base." Paramount Licensing will also launch exclusive limited-edition fan art by artists Chris Garofalo, Matt Ferguson, Marie Bergeron, David Moscati and Marko Manev, who were selected from a group of artists nicknamed "Print Posse." 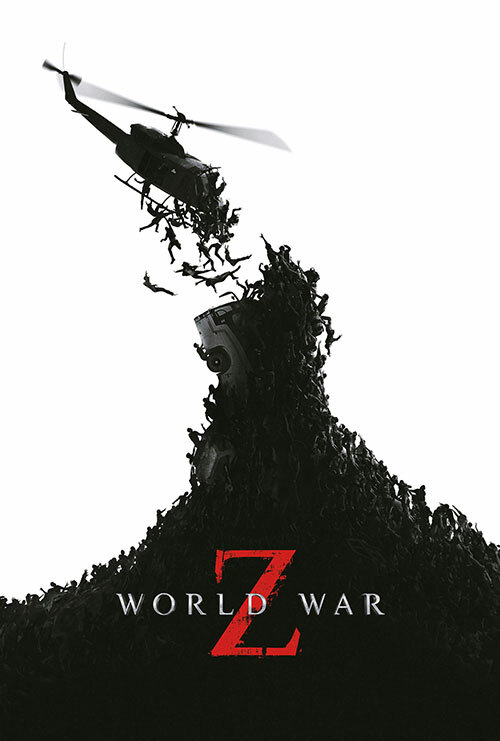 The group participated in a challenge issued by Don Thompson's Blurppy.com to create a images based on the "WORLD WAR Z" film. The results of the challenge caught the eye of the studio and filmmakers and now this unique artwork will be available in a limited-edition run of graphic t-shirts at HotTopic.com, high quality posters at Amazon.com and ThinkGeek.com, and as limited-edition collector's prints to be given away to fans on opening day at Regal Cinemas, Cinemark, AMC Theatres, Arclight Cinemas, and other leading theaters. "WORLD WAR Z" revolves around an ex-United Nations investigator Gerry Lane (Brad Pitt), who traverses the world in a race against time to stop a pandemic that is toppling armies and governments and threatening to decimate humanity itself. The film stars Pitt, Mireille Enos and James Badge Dale. Paramount Pictures and Skydance Production present, in association with Hemisphere Media Capital and GK Films, a Plan B Entertainment/2DUX2 Production "WORLD WAR Z," directed by Marc Forster from a screenplay by Matthew Michael Carnahan and Drew Goddard & Damon Lindelof, and screen story by Matthew Michael Carnahan and J. Michael Straczynski. Based on the novel by Max Brooks. Produced by Brad Pitt, Dede Gardner, Jeremy Kleiner and Ian Bryce. "WORLD WAR Z" opens in theaters everywhere June 21st, 2013.